The London headquarters of Barclays Bank, which has been fined for manipulating the Libor inter-bank lending rate. Add one more to the list of alleged victims of Libor manipulation: homeowners. A class action complaint filed earlier this month in New York federal court claims borrowers with adjustable-rate mortgages based on the London Interbank Offered Rate, or Libor, paid more than they rightfully should have due to the rate's manipulation by the global banks involved in setting it. The complaint follows other class action suits filed by groups ranging from local governments to community banks to individual investors, all of whom say they lost out due to Libor-rigging. Libor burst into the public consciousness this summer when British banking giant Barclays (BCS) admitted to manipulating it, reaching a $453 million settlement with U.S. and U.K. regulators. Other banks involved in setting Libor, including JPMorgan (JPM), UBS (UBS), Citigroup (C) and HSBC (HBC), have revealed that they too are cooperating with investigations on the issue, and additional settlements are expected. The London Interbank Offered Rate is actually a collection of rates generated for 10 currencies across 15 different time periods, ranging from one day to one year. It's designed to measure the cost of borrowing between the world's largest banks, generating rates that are used as benchmarks for roughly $10 trillion in loans and some $350 trillion in derivatives. For example, an adjustable-rate mortgage might require you to pay interest based on a given Libor rate plus 2%. Libor rates are set each business day through a process overseen by the British Bankers' Association. Groups of banks are asked what interest rate they would have to pay to borrow money for a certain period of time and in a certain currency. The responses are collected by Thomson Reuters, which removes a certain percentage of the highest and lowest figures before calculating the averages and creating the Libor quotes. The homeowners' lawsuit alleges that the banks that set the six-month, U.S.-dollar version of Libor consistently pushed it upward on the first business day of each month between 2000 and 2009. Those are the days on which adjustable-rate mortgages "reset," generating a new value for the variable rate borrowers pay based on the current Libor value. With Libor rates pushed higher on these dates, the suit says, homeowners ended up paying more than they should have. A review of 6-month U.S. dollar Libor rates from 2000 and 2001 "exposes an otherwise inexplicable increase in the rate on, or about, the first business day of each month," the suit says, adding that similar variations occurred up to February of 2009. The banks in question either declined to comment or did not respond to requests for comment on the complaint, which was reported earlier by The Financial Times. Thousands of Americans could potentially be part of the class action, the suit says. Between 2005 and 2009 alone, national banks originated some 900,000 adjustable-rate mortgages indexed to Libor, according to the Office of the Comptroller of the Currency. The suit does not specify the damages it seeks, but says the defendant banks "earned hundreds of millions, if not billions, of dollars in wrongful profits" by defrauding homeowners. John Sharbrough, a lawyer for the plaintiffs, said the average borrower with a Libor-based mortgage paid about $300 extra per year as a result of the alleged conspiracy. 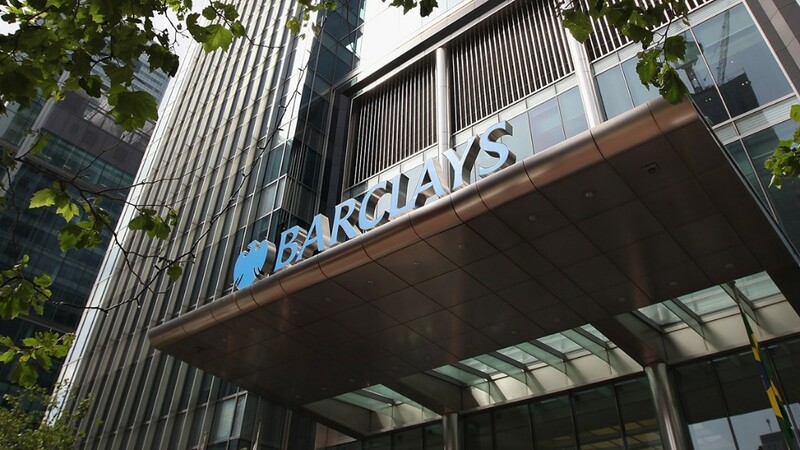 Tracking the consequences: Barclays' settlement earlier this year exposed two kinds of Libor manipulation. The firm admitted that beginning in 2005, its traders colluded with colleagues and counterparts at other banks to move Libor rates both up and down, depending upon the day, to benefit their trading positions. The bank also admitted to lowballing its Libor submissions between 2007 and 2009, as the financial crisis gathered force, in order to appear stronger and more creditworthy to investors. Most of the lawsuits filed thus far have come from individuals and organizations with investments that rose and fell with Libor values -- effectively, creditors -- who say they lost money when the rates were suppressed during the financial crisis. In the homeowner case, however, it's borrowers who say they lost money, alleging that certain Libor rates were regularly inflated dating back to 2000. Sharbrough said there could be "a potential conflict" between the homeowners' complaint, which alleges that certain Libor rates were too high, and other suits alleging rates were too low, at least for the years 2007 to 2009. He added that he needed to study the issue further. Mark Zandi, chief economist at Moody's Analytics, said both creditors and borrowers could conceivably have been harmed by Libor manipulation. "It just depends on the rate environment and the timing," he said. Given the variety of financial products tied to different Libor rates, he added, "It's not surprising that you've got a blizzard of legal actions out of all this."